The history of chemical engineering at MIT is inextricably bound with the history of the discipline itself. In 1888, influenced by developments in German universities and a series of lectures about British chemical industry operating practices presented by George E. Davis at Manchester Technical School in the UK, MIT chemistry professor Lewis M. Norton created Course X, the world’s first four-year chemical engineering curriculum. 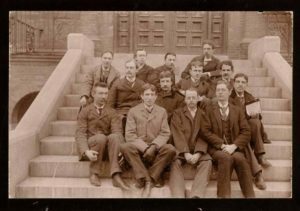 In 1891, the Department of Chemistry granted seven Bachelor’s degrees for Chemical Engineering, the first of their kind to be bestowed anywhere. After Norton’s death in 1893 at the age of 39, Professor Frank H. Thorpe led Course X through a continued rise in popularity. Thorpe’s Outlines of Industrial Chemistry, which was published in 1898, is considered one of the first textbooks in chemical engineering. The work coined the term “industrial chemistry” to describe the industrial processes applied in the production of chemicals; this phrase would be closely associated with chemical engineering for the next 50 years. In the early 20th century, William H.Walker modified the curriculum in a way that would clearly distinguish chemical engineering as a profession. Walker, with alumnus Arthur D. Little, developed the idea of unit operations (those basic operations that compose the variety of industrial processes), a research laboratory dedicated to industrial chemistry and processes, and a School of Chemical Engineering Practice. All this time, Course X was still being taught within the Department of Chemistry. It wasn’t until 1920 that a separate Department of Chemical Engineering was formed with Warren K. Lewis as its head. Three years later, Lewis, Walker, and William H. McAdams, together with some graduate students, developed Principles of Chemical Engineering, an influential textbook that quantified unit operations and thus gave engineers the tools to analyze chemical processes. 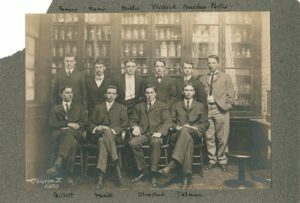 In 1907, MIT became the first school to award Ph.D. degrees in chemical engineering. Since that time, the Department of Chemical Engineering has led the nation in awarding graduate degrees. With over 6,000 living alumni, the Department’s remarkable history is alive and continuing to make an impact in research labs, corporate R&D facilities, and universities around the world.